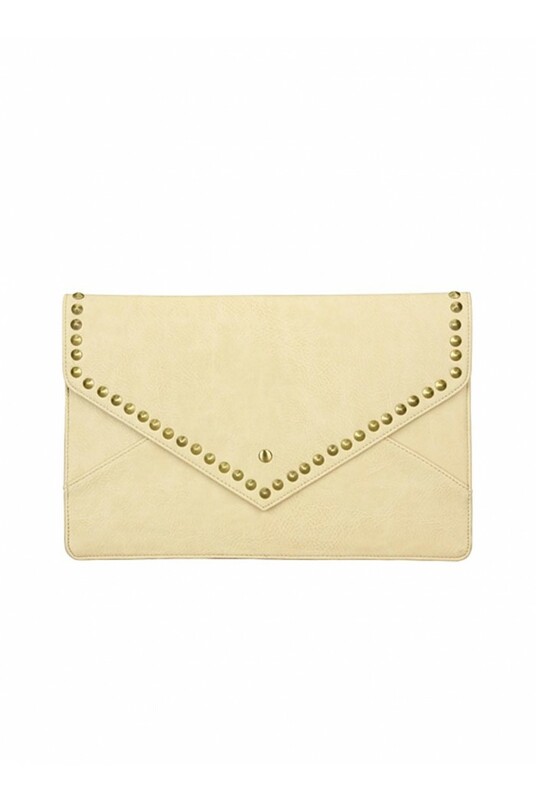 If you're looking for a neutral but chic finishing touch to tone in with your wardrobe this cream studded clutch bag will be your accessory saviour whatever the occasion. 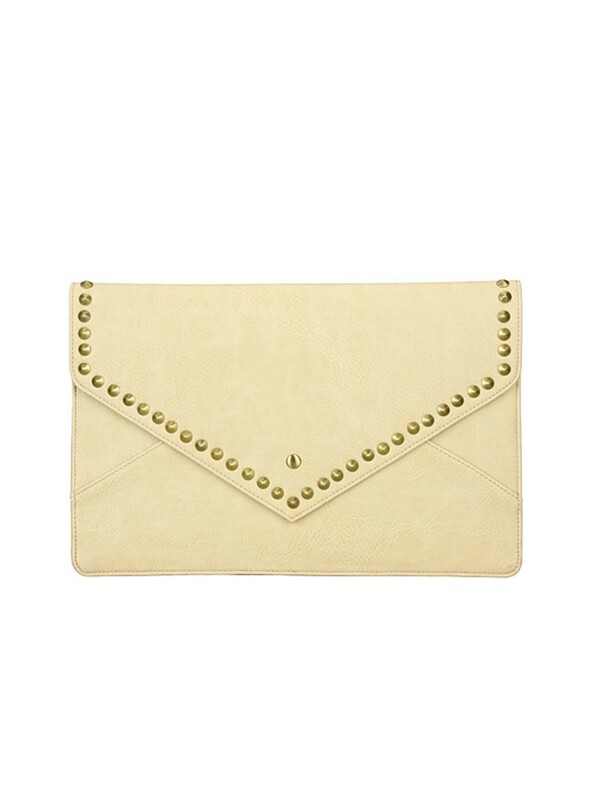 We love the gorgeous gold studs that add a rocking hard edge to this classic vintage style. And just to tempt you even more, there is a super cool chain strap inside if you fancy popping it on your shoulder to keep those hands free for dance moves and cocktails! 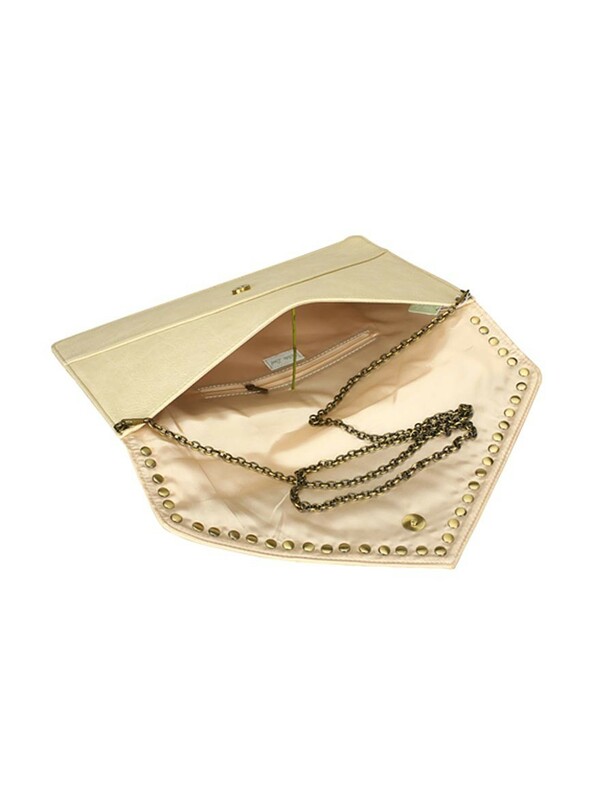 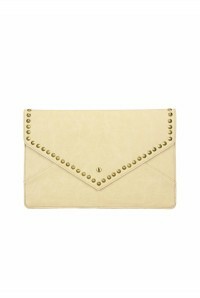 This faux leather cream bag by White leaf has an envelope style which is embellished with gold studs. 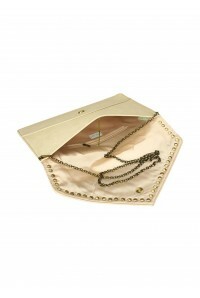 It measures 36cm by 23cm and has an optional chain shoulder strap.